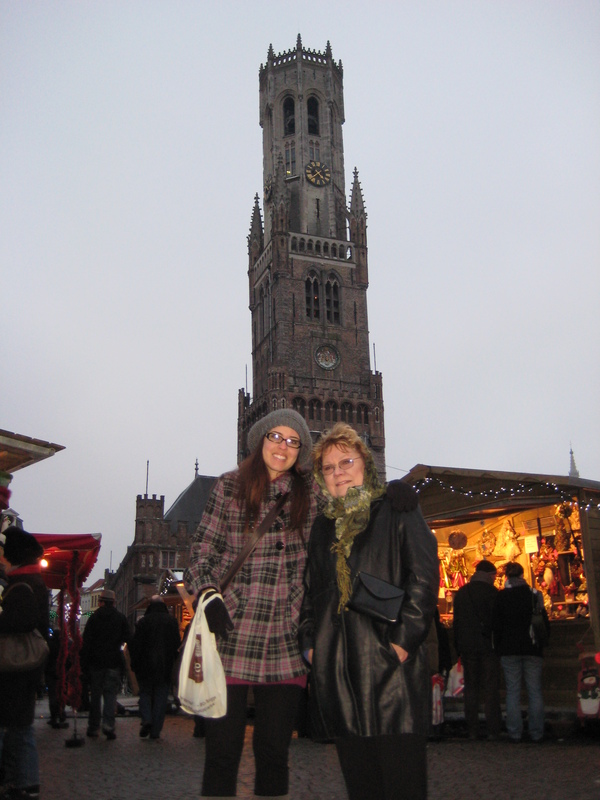 I was so excited about our trip to Brugge today/this evening! 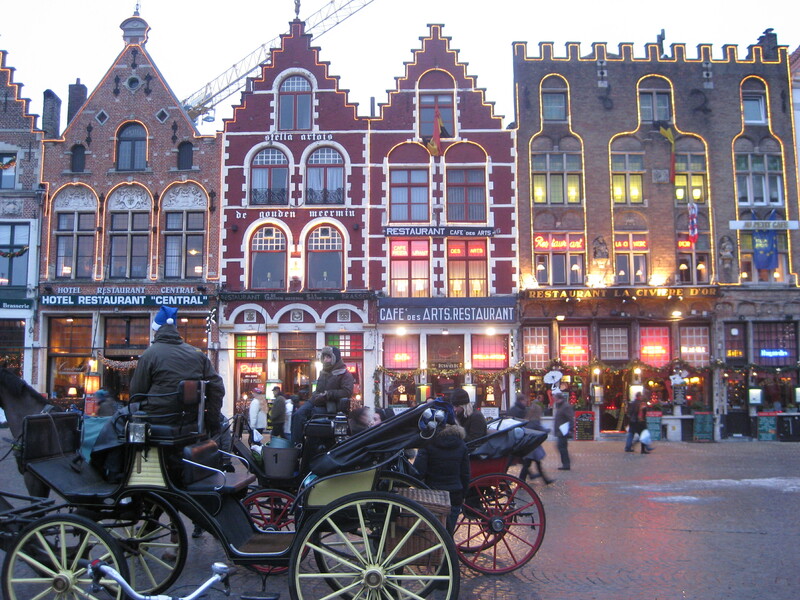 Mostly because Brandon and I really enjoyed the movie with Colin Farrell, In Brugge and we've wanted to see the city ever since. It was quite an adventure to get there because we were going to drive the car (by we, I mean Brandon) and it was going to be an hour and a half drive. **The driving here seems so different, but one main difference is that priority is always given to the right. So we'll be driving along and someone can make a right turn directly in front of you without looking! Anyway, Brandon was a little nervous, but very collected and determined. After awhile we got the hang of it, and enjoyed the "motorway" or freeway. It was snowy countryside and pretty to look at. 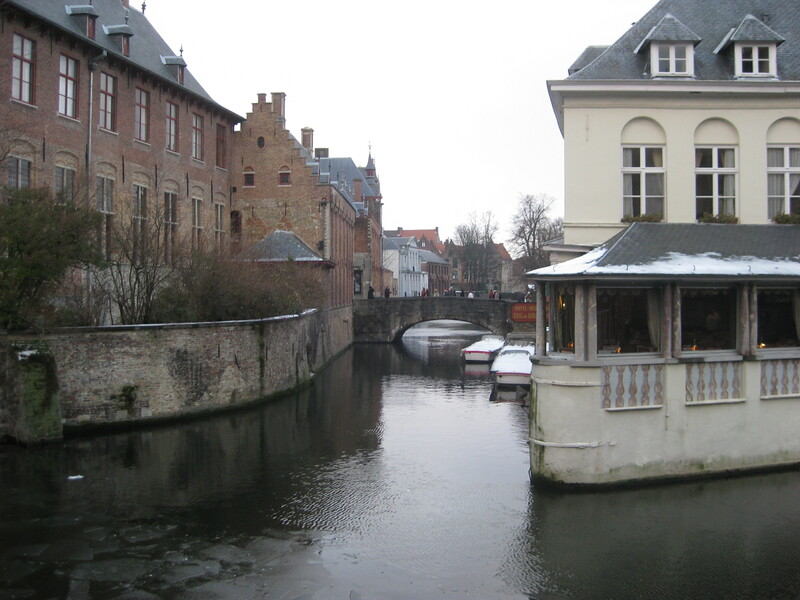 Brugge is just absolutely gorgeous. It's almost like a smaller version of Venice maybe? There are lots of canals, and bridges that go over the water. 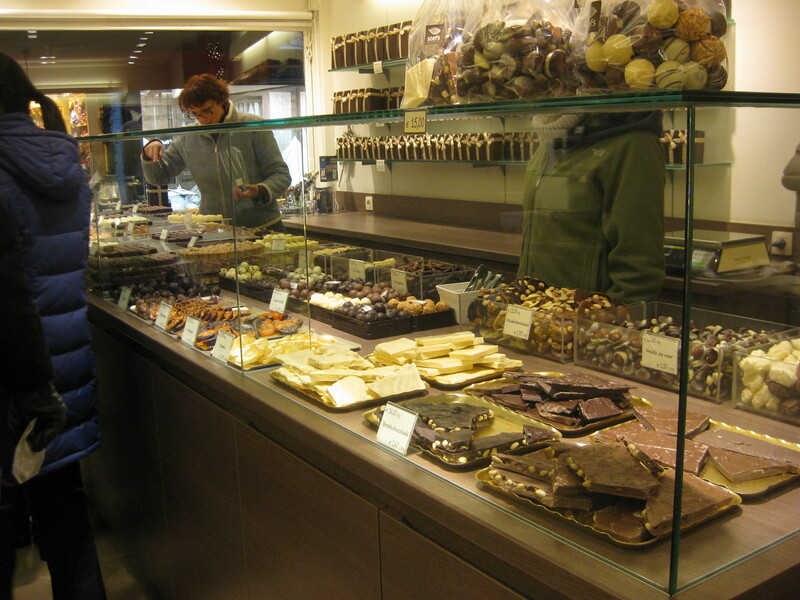 The cobblestone streets were very narrow with a lot of different shops, restaurants and chocolatiers. We tried our first Belgian chocolate today and it was great! We just chose a few pieces from the many choices, as we didn't really know what we were looking for.